China and Uganda have carried out various kinds of cultural exchanges and cooperation since the establishment of diplomatic relations. The two countries signed a Cultural Cooperation Agreement in June 1985. The Implementation Program of the Cultural Cooperation Agreement between China and Uganda for 2000-2002 was signed in August 1999. China has altogether trained 205 Ugandan students since 1959. 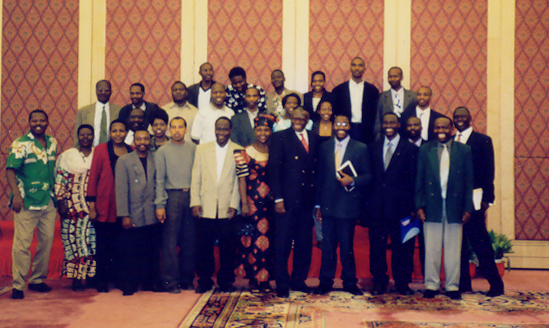 By the end of 2000, there were 32 Ugandan students studying in China. Since 1983, China has sent nine medical teams to Uganda successively. There are 8 Chinese doctors currently working in Uganda. The Uganda Student's Association in China (USAC) was formed on the 3rd of April, as a body of Uganda citizens of at least post-secondary level students taking studies in the Peoples Republic of China. It was inspired and established with the overall aim of promoting unity and co-ordination of all the Ugandan students in China. It's also responsible for the correction of imperfection as regards to student's welfare. Since its formation, the USAC has always kept the Ugandan Mission in Beijing, and indeed the Ministry of Education, alert on the problems, be they political, economic, social, or otherwise, the Ugandan students have faced at one time or the other during the course of study in China. [email protected] or USAC website.